Here in Westchester, it’s easy to let your garage get out of control. Luckily, there are simple ways to rectify this. By creating custom shelving and cabinetry for your unique garage, you will effortlessly organize all of your seasonal décor items, sporting equipment and more here in Manhattan, Armonk, Baldwin Place, Bedford, Bedford Hills, Brewster, Putman County, Carmel, Chappaqua, Cross River, Croton Falls, Dobbs Ferry or Elmsford. 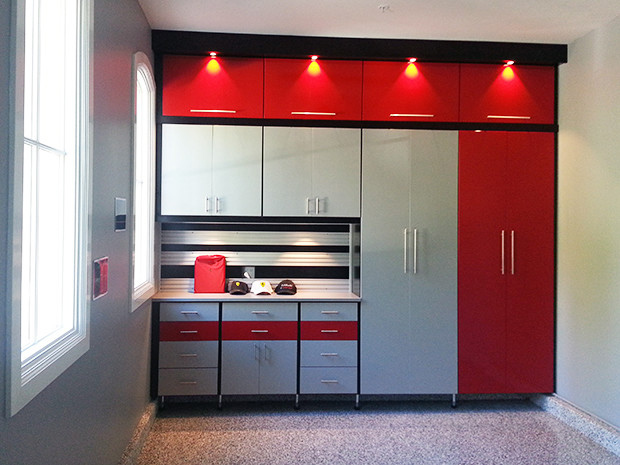 The first step toward garage organization is by installing custom cabinetry that will elevate and organize your space. 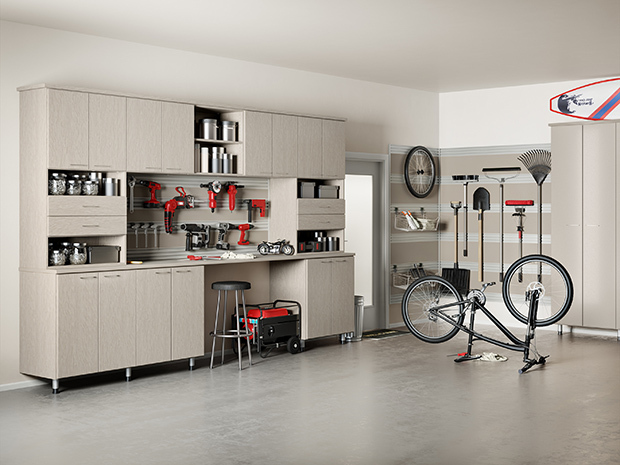 Pick your style, finish /a> and materials and then get to work by creating the most organized garage you’ve ever seen. Deep custom-designed cabinetry stores everything from seasonal décor to sporting goods to tools. Durable drawers hold smaller items, including workshop accessories like nails, screws, and sandpaper. Get started today on your very own custom shelving and garage cabinetry by contacting the California Closets Westchester team. You’ll receive a complimentary in-home expert design consultation to discuss your unique space and budget. Featured on Houzz, California Closets has been transforming homes across the country for nearly four decades. Learn more about what the Westchester team can do for you by visiting the Hawthorne showroom.